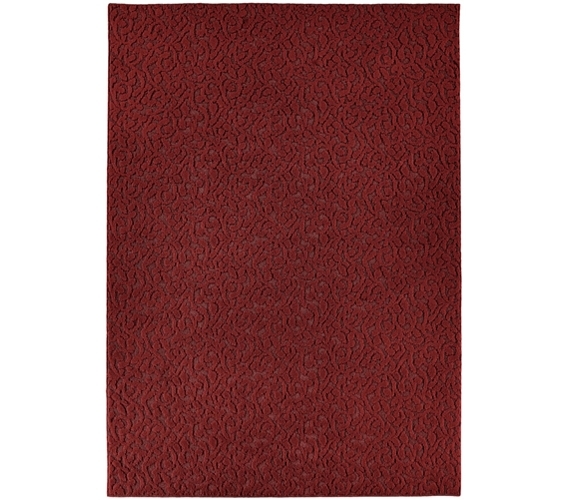 This College Ivy Rug - Chili Red is a great way to either start off your college decor or to round it out. When you're shopping for college, college decorations are a must, right? Most students think of college decor items as being cheap posters and other dorm wall decorations. While those are important, first, look to your floor. A nice area rug for dorms is all that's needed to take that floor from bland to colorful and warm. This chili red rug brings a unique color to your college decor supplies. Or, if you've already got all those decorations for college all planned out, don't neglect a rug. By including a rug amid your dorm room products, you can really round out that dorm room decor. Once you lay down a rug for college dorms, if you take it away, you'll realize just how much cheap rugs are dorm necessities! You might be surprised how bland it looks without a rug. So be prepared for college and buy a dorm room rug; it's a purchase for college you can use throughout those four years. Rugs make dorm rooms feel more like home! Check out this video for some homesickness-management tips.